LAHORE: As part of its 100-day plan, the Pakistan Tehreek-e-Insaf (PTI) has decided to explore new avenues for tourism in the province. The party also plans to venture into projects in collaboration with private sector, said Senior Punjab Minister Abdul Aleem Khan. He was presiding over the party’s 100-day plan review meeting held on Sunday. Punjab Tourism Minister Raja Yasir Humayun, Punjab Chief Secretary Akbar Husain Durrani, Punjab tourism department secretary and other senior officials of departments concerned also attended the meeting. Khan said that it is very important to involve the private sector in different projects. He highlighted that at every dam, water reservoir, and head-works, tourism sites can be developed and promoted and it would help in reducing rush at the existing tourist spots. The minister said that the tourism sector has a great importance for Prime Minister Imran Khan and provincial tourism department will have to put its share in the 100-day plan of the government. He said that companies of international repute should be given a chance to come up with their plans to develop new tourism avenues in the province. Speaking at the meeting, Punjab Tourism Minister Raja Yasir Humayun said that only in Chakwal district there are 26 lakes and they need the attention of the Punjab Tourism Department. According to the World Economic Forum’s recent Travel and Tourism Competitiveness Report 2017, Pakistan ranks at 124th position out of total 136 countries, while in other South Asian countries India is placed at 40th, Bhutan at 78th, Nepal at 103rd, and Bangladesh at 125th. The report indicates that travel and tourism industry contributes $7.36 billion or 2.8% of GDP to Pakistan, while it offers employment opportunities to 1.42 million people. 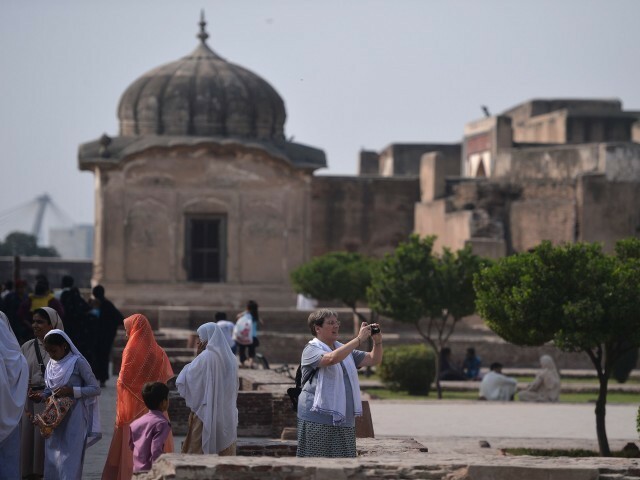 The report revealed that nearly a million international tourists visit Pakistan, while the country generates $317 million revenue from them. Average receipt per arrival is around $328, the report said. Experts believe that in Pakistan tourism sector has an immense potential given its diverse culture, heritage, and natural endowment. However, in order to boost this sector, the government has to incentivise the private sector so that they make investments. It will help in upgrading existing tourism sites and develop new ones. Federal Information Minister Fawad Chaudhry has recently indicated that the government is reviewing tourist visa issuance process to attract more tourists, particularly for groups and champion initiatives, which strengthen visa on arrival programme. It also eliminates NoC condition for high potential tourist destinations besides providing four-star accommodation at affordable rates. Published in The Express Tribune, September 24th, 2018.